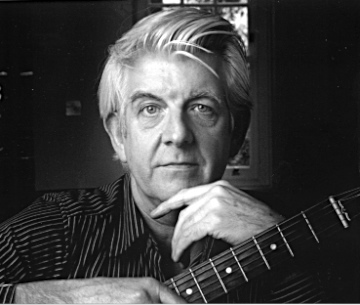 Listen to this track by former Johnny Cash son-in-law and seasoned singer-songwriter Nick Lowe. It’s “The Beast In Me”, a highlight from his career-shifting 1994 record The Impossible Bird. This record would represent something of a comeback for Lowe, at a time when he’d cut any hope of being a “pop star” loose, and embraced those influences that had inspired him to become a songwriter and musician in the first place instead. One such influence was Johnny Cash, who by the late 1970s had also become his father-in-law, since Nick had married Carlene Carter, Cash’s stepdaughter. This song was written after the spark of an idea spurred its author to work on a new song well into the night, with the help of three bottles (or so) of wine. The results took a while to gestate, and not without a modicum of pain and embarassment first. The song was not written to be pitched to Johnny Cash, even though you’d be forgiven for thinking it was. Lowe was resistant to pitching songs to his wife’s stepdad, possibly due to the magnitude of the older man’s shadow. Maybe risking the appearance of nepotism had something to do with it, too. Whatever the case happened to be, it was certainly a Cash-like tone that served as an artistic compass for the writing of the song, to be delivered in a low and quietly desperate voice. This is the portrait of a man struggling with demons, barely containing them, and fearful of his own capacity for destruction. In short, it was made for Johnny Cash to cover, even if its design wasn’t necessarily a conscious one. Cash eventually did record it on the Rick Rubin-produced American Recordings album, the first of many such collaborations with Rubin in the 1990s. This was a period when Cash was getting his mojo back after a period in the artistic wilderness. But, that would be twelve years after he would first hear the song, played tentatively in its pupal stage by Nick Lowe at the insistence of his wife Carlene. That performance was to be in front of family, band, and crew who all dropped in on the way to a big show at Wembley Stadium, and in a small London front room in the house where Lowe and Carter lived. It wasn’t an optimal setting for Nick Lowe to say the least. Lowe was overtired and hungover after spending the night trying to whip the song into shape. His normally sonorous baritone was (to his ears at least) thin and reedy, and the song itself was undercooked. Nick Lowe’s feelings on delivering the song under these conditions were mostly about his extreme embarrassment. But, Johnny Cash heard that same spark that its writer had followed while writing it. Cash would ask about ‘The Beast In Me” for years after Lowe played it for him that day, knowing that that initial performance had been ragged and not entirely comfortable for its author. There was a bit of mischief attached to these inquiries over the years. But, Cash was also interested in how it would be turn out once Lowe turned his keen songwriting instincts toward bringing it to life. When it was completed, it had become a sorrowful and poignant song about being isolated by one’s own worst nature. It was a song about one’s dark side that threatens to subsume the person one is trying to be. These are themes which suit Cash’s style of course, but also resonates with everyone to varying degrees. As such, it became one of Nick Lowe’s best compositions, and certainly one of the most notable songs Johnny Cash would cover in the latter years of his career and life. Here’s the story of “The Beast In Me” in the words of Nick and Johnny themselves. And for more from Nick Lowe, slide on down to nicklowe.com. I love Nick Lowe! Spending well north of 50 bucks to see him in a smallish club in London, England a couple years back was just about the best use of my retirement funds I can account for. He didn’t perform Beast, but a whack of others from Convincer (a record worth its price for the titles alone), his latest That Old Magic, and a handful of other faves. It was exquisite and I have the tee shirt to prove it! The great thing about Nick Lowe is that he’s been so consistent in the quality of the records he’s put out, particularly in the last twenty years during which time he’s made the best music of his career. And more, his voice has seasoned into one of my favourites coming out of any artist, a voice that is full of charm and experience all in one. It’s a voice you can trust, even when he’s singing a song from a narrative point of view that makes you wonder about the sympathy that you feel toward it. I’m with you on The Convincer. “Let’s Stay In And Make Love” is worth the price of admission alone.